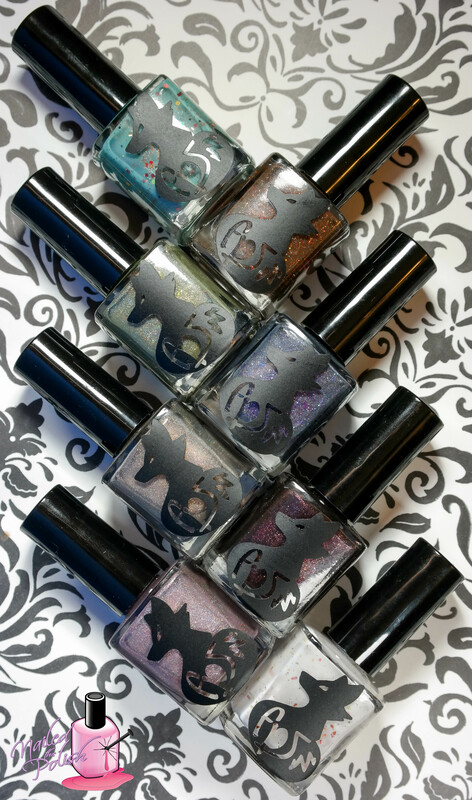 This collection consists of eight polishes all of which (except one) are in stock and available for purchase now! So grab your Pumpkin Spice Latte and get cozy in those leggings cause it’s time for the reveal! First up is Falling Leaves – a white crelly with fall-colored (red, orange, and yellow) metallic flakes. Shown here is three coats plus top coat. Tell me this isn’t the most perfect polish to go with the name! The shards of flakes really look like actual pieces of leaves that have fallen onto my nails! The formula is really nice and easy to work with. It also levels really well! Some of the flakes wanted to stick up a little bit but they all smoothed out after adding top coat. Fireside Therapy is a brown jelly with orange/red toned micro flakes and glitter. Shown here is three coats plus top coat. Wonderful formula! 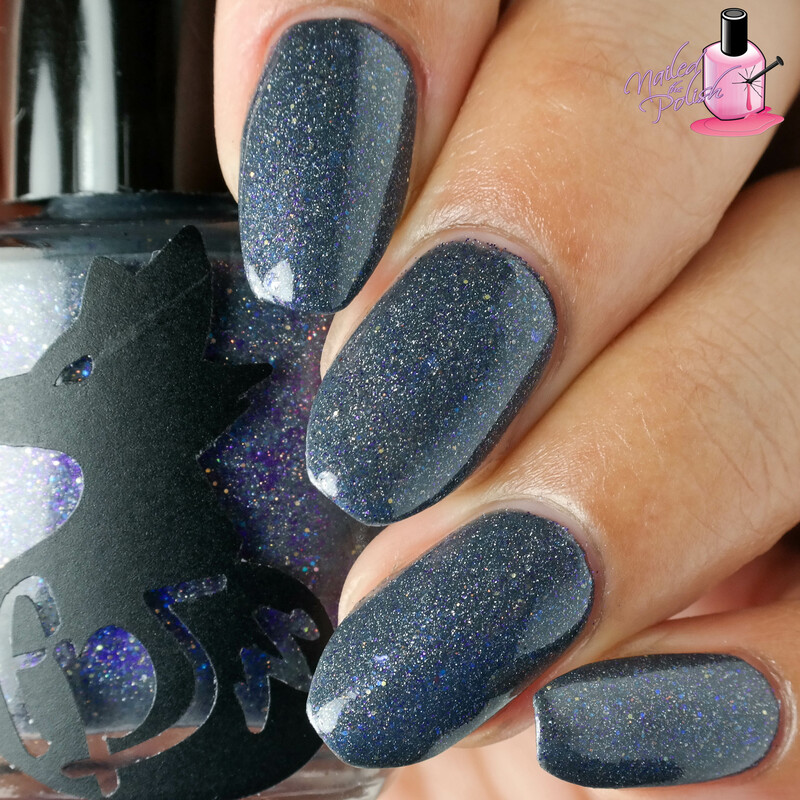 Amazing control and great dry time – swatching this polish was super quick and easy! I reached full opacity in two coats but I added a third coat to darken the base color. This is a polish that would also look great over a black base. Apple Picking is a super cute and fun teal green crelly with various circle, hex, and square glitters in a variety of colors. Shown here is three coats plus top coat. There are so many glitters in this polish! I did have to fish a little bit for the larger circles but each brush stroke had plenty to keep me happy. Great formula here as well! Just look at all those glitters! Nature Walk is a moss green scattered holo with added green and yellow iridescent flakes and red micro glitter. Shown here is two coats plus top coat. This polish has amazing coverage! I think it could even be a one coater. All of the elements in this polish work so well together. I love the uniqueness of this polish! This is nature in a bottle! And a bottle shot to showcase the flakes and micro glitter… and gold shimmer! …and coppery gold when exposed to LED bulb lighting (and natural sunlight)! No matter the lighting, I love this polish! Berry Cobbler is a beautiful deep dusky blue creme with added blue, purple, and gold glitter and a bit of scattered holo. Shown here is two coats plus top coat. Just like actual berry cobbler, this polish is so yummy! 😉 Perfect shade of blue for the fall season and the added glitters are absolutely stunning! Tell me you don’t want to take a bite of that… cause I know I want to! Cashmere Sweater is a delicate light mauve linear and scattered holo with silver micro flakes. Shown here is two coats plus top coat. I want to wear this polish… all over my skin. Looking at it makes me feel all warm and fuzzy inside just like how I feel when I wear a cashmere sweater! I LOVE this one! I just want it to hug me! Last up is Crushed Cranberries – a deep blackened red with scattered holographic glitter and blue iridescent and copper flakes. Shown here is two coats plus top coat. AMAZING! I looooove vampy shades and this is no exception! This polish dries really quickly so I recommend to use slightly thicker coats during application but don’t worry! This polish levels exceptionally well so it all smooths out very nicely. Do you see what I see?? Pure vampy, glittery, flakey, perfection! I know I say this with every Frenzy collection but WOW! The uniqueness of this collection blows me away! 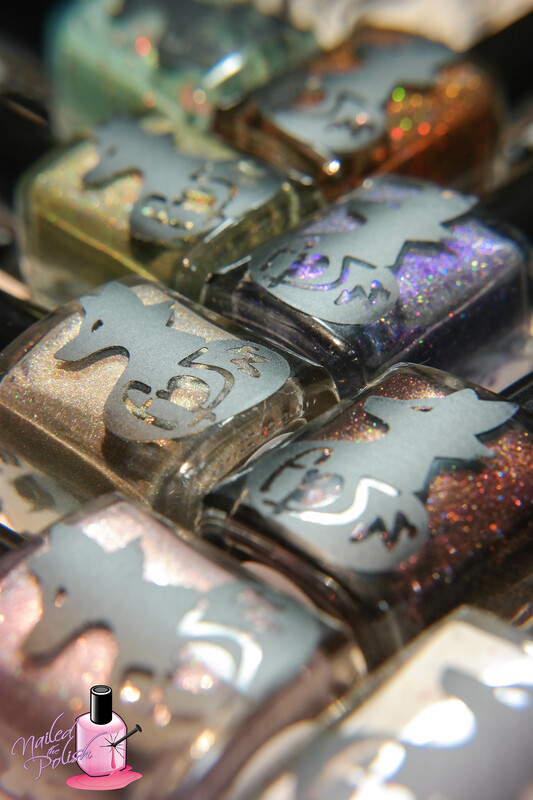 The colors, the glitters, the flakes, the holos… the elements and combinations of these polishes are amazing. Rachel is a true creative genius! Formulas, like always, are amazing. No issues what-so-ever. My favorites are Crushed Cranberries, Cashmere Sweater, Berry Cobbler, and Sade & Saffron – yup, half of the collection lol. This collection is available for purchase here. The full set is priced at $70.00 with individual bottles ranging between $8.50 and $9.00. Currently, all shades are in stock except Fireside Therapy. Before to follow Frenzy Polish on Facebook and Instagram to stay up to date on current and future collections! What are your thoughts on this collection? Which polish… or polishes 😉 are your favorite? Let me know in the comment section below!